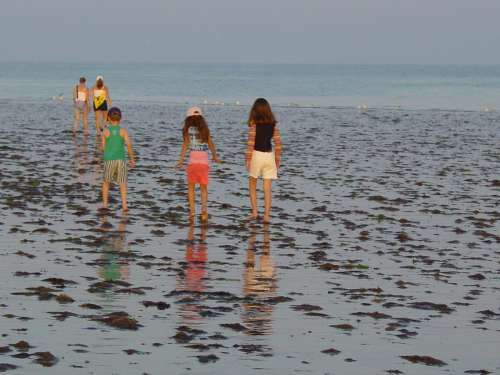 I loved the wet look of the sand, and the colourful children walking on it. Just like you said, the wet look of the grey sand, set against the colorful clothes of the children create a nice effect. I also like the reflections.